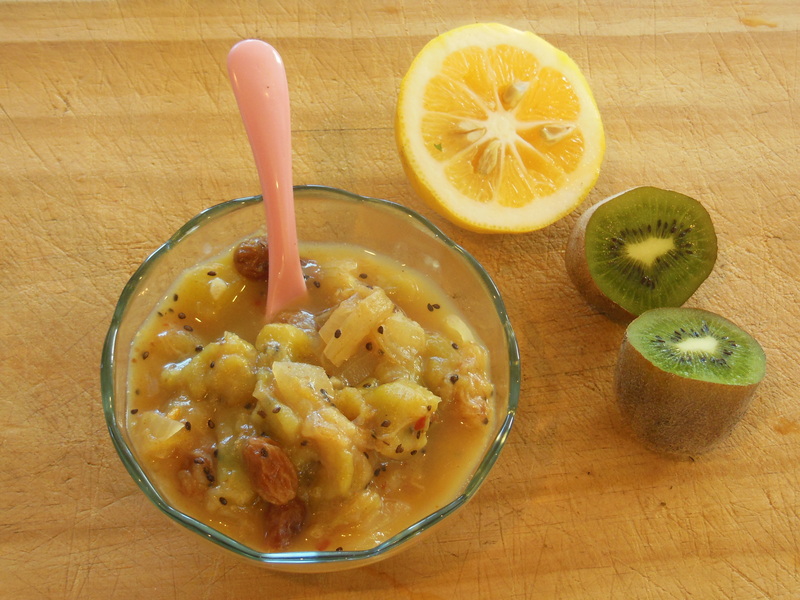 After having an overload of kiwifruit in our home I decided to create this chutney. I am always a bit put-off making preserves due to the amount of sugar that is often in recipes; in some cases they have more sugar than fruit. This recipe uses only date paste as a sweetener making it a nice ‘no added sugar’ alternative. It tastes great on crackers, toast or as a side to your favourite curry. 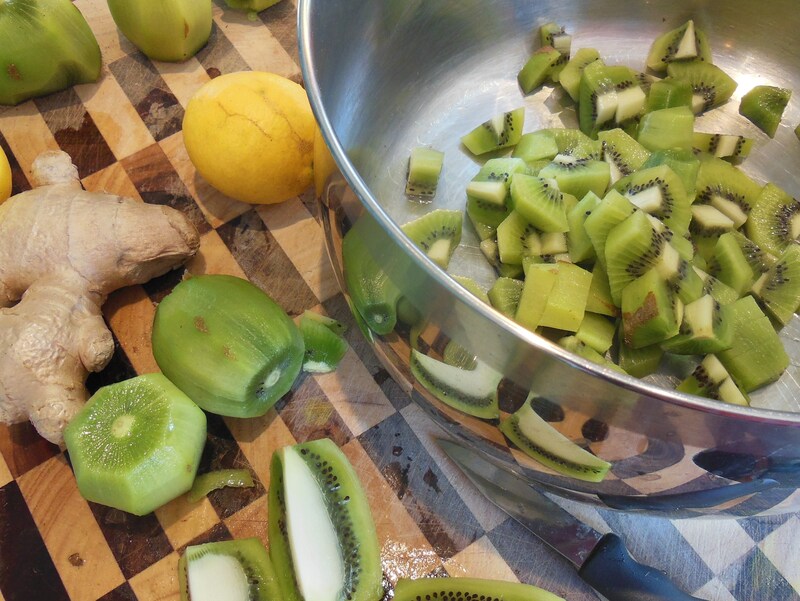 Peel bananas and kiwi’s and chop into chunks, put into a large heavy bottomed pot. Dice onion and add to fruit along with all other ingredients. Bring to the boil then lower heat and simmer for about 1 hour until fruit is soft and mixture is thickened, make sure you stir it regularly to stop it sticking. Transfer into sterilised jars, and allow to cool. Due to low sugar content store chutney in fridge.